Last half-term in art, Year 7 students focused on drawing techniques. It has been exciting to compare and combine traditional approaches with the use of iPad apps. 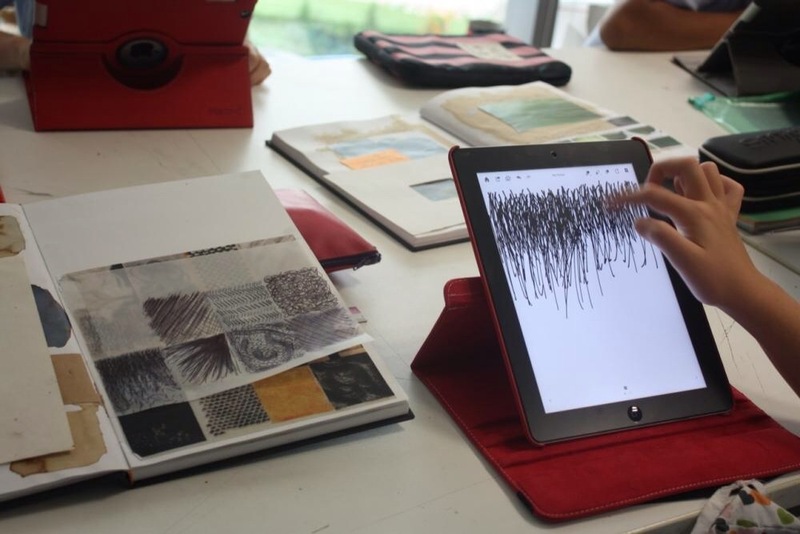 Students have used the apps ‘Bamboo Paper’ and ‘Linebrush’ to create textural drawings, based on photographs taken with the iPad camera, of natural objects such as leaves, twigs and stones that they collected for homework. Markmaking techniques and layering proved very effective in achieving tone and texture. Students have also used their iPads to photograph and reflect on their own artwork, research artists and to refer to the ‘Dictionary’ app for definitions of art terms and visit online galleries. We look forward to using the iPads further in art this half-term.